Whether used singularly or in groups, Ply low tables create a striking composition in any living room setting. 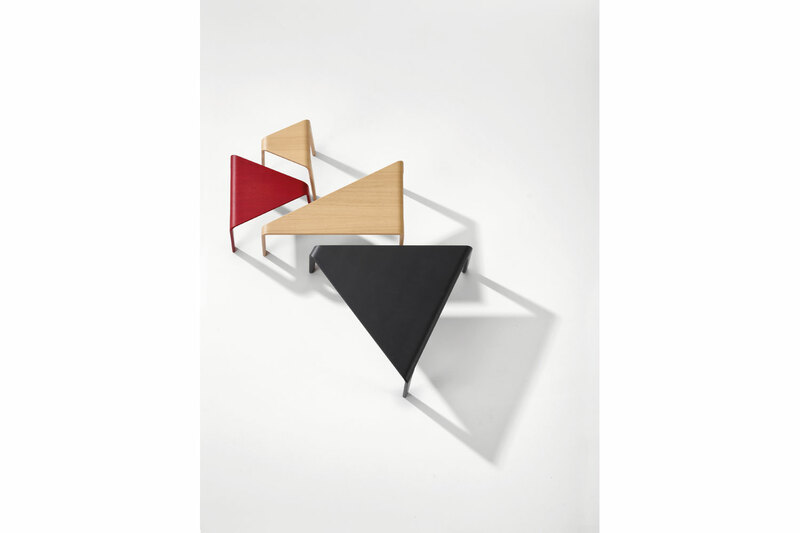 PlyÕs playful geometry of surfaces is like a game of Tangram, where shape and colour work together to create multiple designs. The tables are engineered to devise a continuous line from top through legs, where the reduced silhouette and warm material complement their dynamic forms.